Chini ka Rauza is the mausoleum of Allama Afzal Khan Mullah of Shiraz. 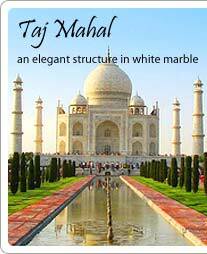 He was a renowned scholar, poet and the Prime Minister of the Mughal Emperor Shah Jahan. 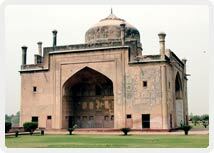 The tomb was built in 1635 located 1 kilometer north of Itimad ud Daulah’s Tomb on the eastern bank of Yamuna River. The tomb of Allama Afzal Khan, Chini ka Rauza, derives its name from the colorful tiles (chini) that cover the walls of the tomb. The blue, green and yellow tiles that embellish this medieval Indian mausoleum make it the most remarkable feature. In fact, this glazed tile decoration dominates the entire architectural composition of this building. This beautiful tomb derives its name from the tiles or chini that were used to decorate its wall and ceilings. The mausoleum showcases the fine blend of Persian and Mughal architecture pattern of decorations and construction. The blue, green and yellow colored embellishing tiles exemplify the beauty of this mausoleum. Other prominent features of this building include the presence of an Afghan-style bulbous dome, and beautiful decoration with geometric and floral arabesque in multicolored glazed tiles.